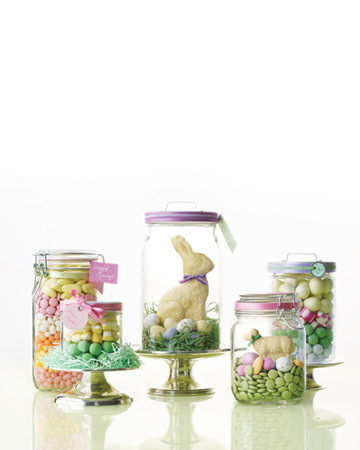 Grab some jars and steal some of the kids Easter candy for these fun Easter candy centerpieces. I am pretty sure in our version the bunny won't have any ears. You can see this idea and more fun last minute Easter ideas over at Martha Stewart. ooo ooo, come over and look @ mine! Those are so cute! You are so creative. I enjoy your blog.